The glitter and purity of the white stone work, that forms the most body of the earrings, is fantastically contrasted by the red bead placed at the top. What makes this pair of fashion earrings truly unique is the sharp contrast between the main part and the teardrop hangings. 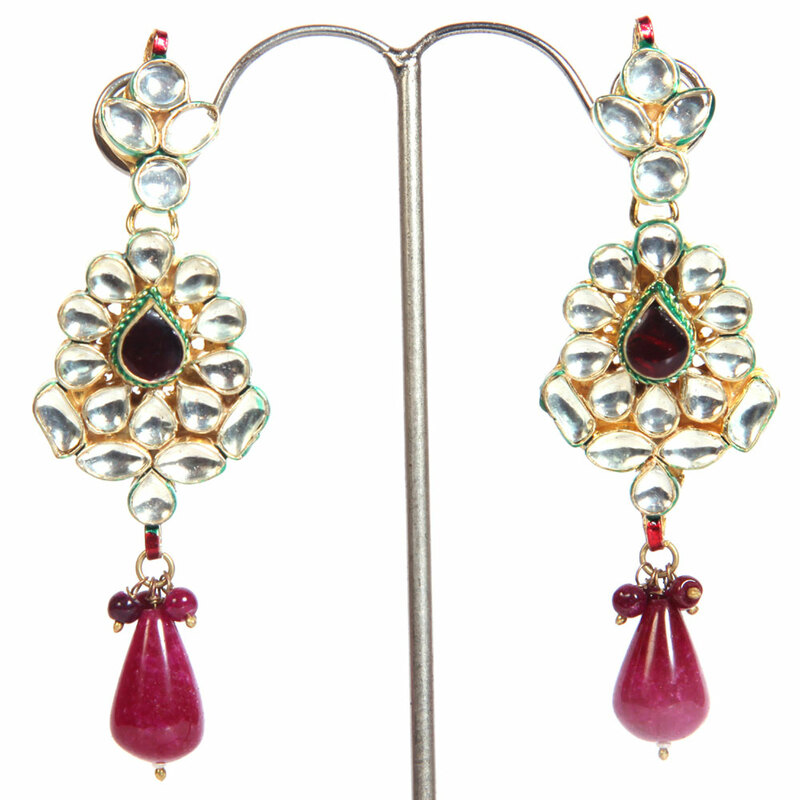 The glitter and purity Read More..of the white stone work, that forms the main body of the earrings, is beautifully contrasted by the red bead placed at the end. Show Less..